Fillings are dental procedures used to fill damaged teeth in order to prevent further decay. When you go to see your dentist they will be able to examine your teeth for any abnormalities. If there are any damaged teeth or cavities, your dentist may recommend a filling. if any abnormalities are found your dentist will give you an x-ray. from there your dentist will make the proper decisions on what route to take for your filing. 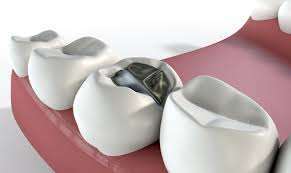 A filling procedure typically consists of a few simple steps. First, the dentist removes the tooth decay with a dental drill. 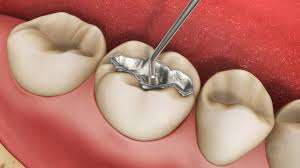 They then use a base or liner to protect nerve sensitivity and add an acid to help bond the filling, Next, they apply the proper filling to the tooth and use a carving tool to reshape the filling to make it feel like a natural tooth. A filling is when a tooth is brought back to its normal shape and function after it has been damaged by decay, to prevent further destruction. When a dentist gives a patient a filling they will remove the decayed tooth material, clean the area and then fill in that cleaned out cavity with a filling material. Fillings don’t only remove cavities but they also close off any spaces where bacteria can enter. People with damaged teeth or typically experience many discomforts such as sensitivity to hot and cold, and painful toothaches. Untreated tooth decay can lead to the cavity spreading which would increase pain and discomfort. 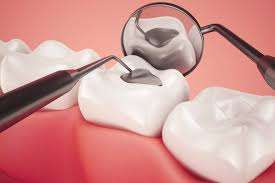 There are four different types of materials used to fill in cavities. These materials consist of gold and porcelain, a composite resin, amalgam which is a combination of mercury, silver, tin, copper and occasionally zinc. Your dentist will decide which filling is best for you based on where the filling is needed.